"fair food", "food", "grossness", "listen up", "meat", "petition", "policy", "sustainability", "watch this"
Nix the bugs, fix our food: "Meat Without Drugs"
Check out more - including a list of how to understand if your food has antibiotics in them - from the Meat Without Drugs campaign by Consumers Union and FixFood. Also, if you shop at Trader Joe's, you should sign this petition to urge the company to nix antibiotics in its meat products! "GMOs", "farm life", "food love", "food", "good reads", "grossness", "headlines", "optimism", "swyf finds", "watch this"
And, upcoming posts on SWYF: I'll weigh in on the potato/school lunch debate; food day celebrations and initiatives; and, perhaps a few delicious recipes. "causes", "food", "good reads", "grossness", "headlines", "listen up"
What the what? : "Americans' Concern About Food Safety Drops"
For real, Americans?! Intrigued by my outrage/use of a question mark and exclamation point? Click here to read the article from NPR. "causes", "farm life", "food love", "food", "grossness", "headlines", "listen up", "petition"
New year, new strawberries, new EPA ruling? In New England, the strawberries are just starting...and they're delicious! That first strawberry of the season is unlike no other flavor memory, especially if you have access to right-from-the-field ones. At the farm where I work, we just harvested the first crop (and I may or may not have had a few). But, for these summer-time treats, how could something so beautiful be so largely and easily tarnished? The vast majority of strawberries are conventionally grown, and thanks to a decision made by the EPA four years ago, most are cultivated with the use of a registered carcinogen - methyl iodide. In addition to cancer, methyl iodide has also been linked to late-term miscarriage. Now, with pressure from farmworkers, the public and environmentalists, this harmful fungicide may be on the chopping block. The science is in," said Susan Kegley, a consulting scientist with Pesticide Action Network North America (PANNA), in a press release. 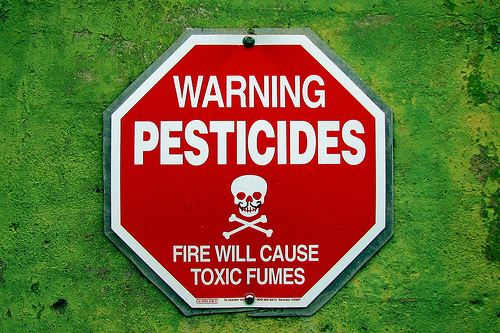 "An immediate withdrawal of methyl iodide from the market is the best strategy for preventing adverse effects from this highly toxic pesticide. Unless U.S. EPA wants to see more groundwater contamination, increasing numbers of late-term miscarriages in women who live or work near methyl iodide applications, more thyroid disease, and more cancers, they need to get this dangerous chemical off the market." I know, I know, in the grand scheme of everything that's going on in this world, strawberries may be the least of your problems. How many of us have eaten strawberries straight from the container and, in turn, ingested harmful chemicals? That's the problem: You should know where your food comes from and what you're eating is safe. It's one thing if you eat strictly organic, but do a little more and get methyl iodide out of our agricultural system. Check out Change.org, and the site's other interesting articles, including the resignation of the the California official who approved methyl iodide.